Guidelines were also issued to Russian tourists on safety and dress code when they visit the Indian state that is a popular destination for vacationers. In the wake of legal issues being faced by Russian tourists in the Indian state of Goa, the Russian Information Centre issued certain guidelines on employment norms in India. 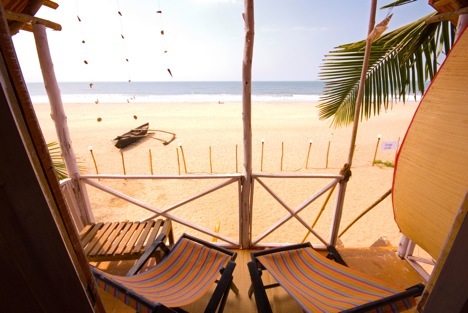 “Instructions will be available for Russian tourists in hotels and major tourist spots in Goa in Russian language,” Ekaterina Belyakova, managing partner of tour operator Tara, which initiated the centre, told PTI. In the first week of January, two Russian citizens were arrested and fined Rs 10,000 ($161) each for illegally working as guides on a tourist visa. The duo was charged under the Tourist Trade Act. Authorised and registered guides in the state have complained about Russian tourists acting as guides for their compatriots. The Russian centre also warned tourists against taking services of illegal companies and being associated or employed by any entity while coming to Goa on a tourist visa, PTI said, adding that tourists are being informed that only business or employment visa allows them to be employed in Goa. The centre also issued guidelines to tourists on safety issues and dressing appropriately away from the beaches. The founders of the centre, which opened a month ago, believe it will become a heart of Russian-speaking community in Goa and a single-window solution for tourists looking for accurate information on places to stay and dine, shop and party, explore culture heritage and enjoy the nature of Goa.